With the Community 2.0 event coming up in May, we're going to take the few months before that to introduce you to our keynote speakers for this year's event. Twice a month, we'll share with you one of our featured key note speakers. Community 2.0 is May 11-13 in San Fransisco, California at The Palace Hotel. This week, we're featuring keynote speaker Joe Trippi, the mastermind Barack Obama's social media campaign. 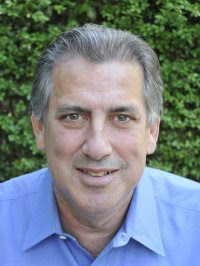 Joe Trippi's career in campaign management began in 1980 when he ran Edward M. Kennedy's presidential campaign. Throughout the years, he has been behind many famous campaigns, including Barack Obama and Tony Blair's re-election to British Prime Minister. In 2004, he ran Howard Dean's presidential campaign, and was credited for using the internet innovatively to collect small donor fund raising. With that campaign, he collected more than any democratic national campaign, with most of the contributions amounting to less than $100 each. Read here to find out more about Obama's internet and social media campaign. Hear his interview with the National Journal here.